The third-generation bovine pericardium Freedom SOLO (FS) stentless valve emerged in 2004 as a modified version of the Pericarbon Freedom stentless valve and as a very attractive alternative to stented bioprostheses. The design, choice of tissue, and anticalcification treatment fulfill most, if not all, requirements for an ideal valve substitute that allows imitation of the native healthy valve through unrestricted adaption to the patient’s anatomy, reproducing a normal valve/root complex. However, despite hemodynamic performance superior to stented valves superior durability, freedom from structural valve deterioration, and nonstructural failure has not been proven as expected. Optimal performance and freedom from structural valve deterioration depend on correct sizing and perfect symmetric implantation, to ensure low leaflet stress. Any malpositioning can lead to tissue fatigue over time. 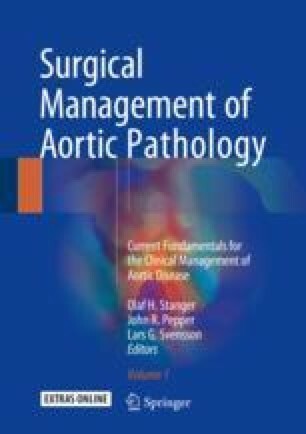 This chapter presents lessons from intensive personal experience, and advice to avoid pitfalls, observe limitations, and improve patient selection for optimal long-term outcome with the FS stentless valve. Furthermore, the “mystery” of FS valve-dependent early postoperative thrombocytopenia is explained.